This week's cooking was so satisfying! We got our first CSA vegetable box of the season, and it was chock full of beautiful, organic vegetables. I have had wonderful time incorporating them into our dinners. We are eating vegetarian at home this fall/winter (we ate so much meat over the summer, and both Adam and I felt like we needed a break, plus we are trying to save money), so beans, quinoa, winter squash and dairy will fill the meat void, and I rarely find myself missing the meat. 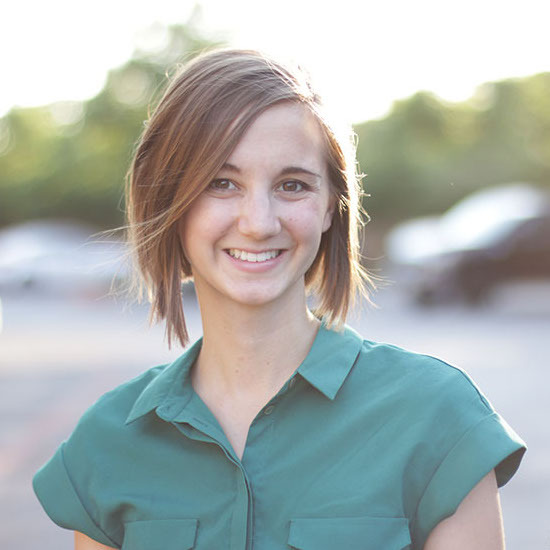 This week's line up is a pretty delicious one, but sadly with not very many links (sorry!). Several of the recipes will be coming in the future, so check back for those in the coming weeks. Black Bean Soup and Tortilla Chips - This will forever be in the repertoire, because it is just so good. Adam requested it for his birthday this week, because it is one of his very favorites. 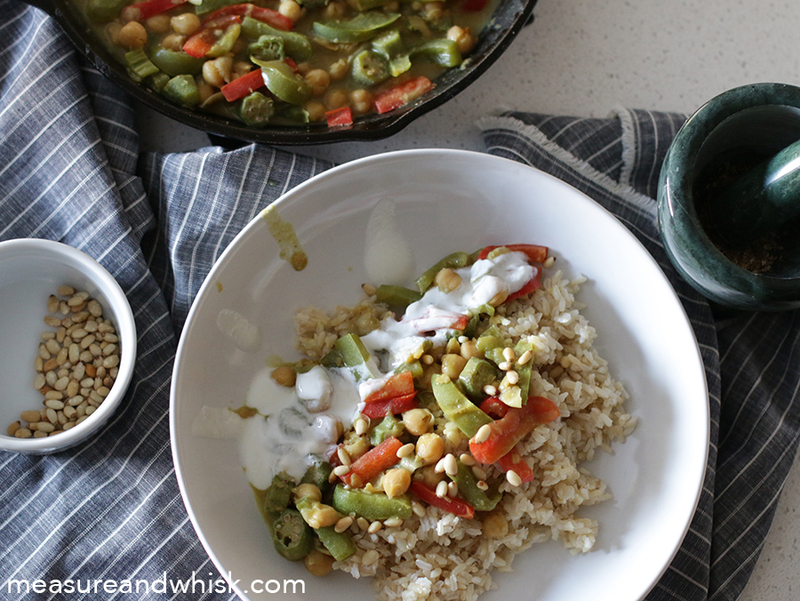 Okra, Chickpea and Bell Pepper Curry - This one needs some work... Hopefully I will get it to a place where it can be shared soon. 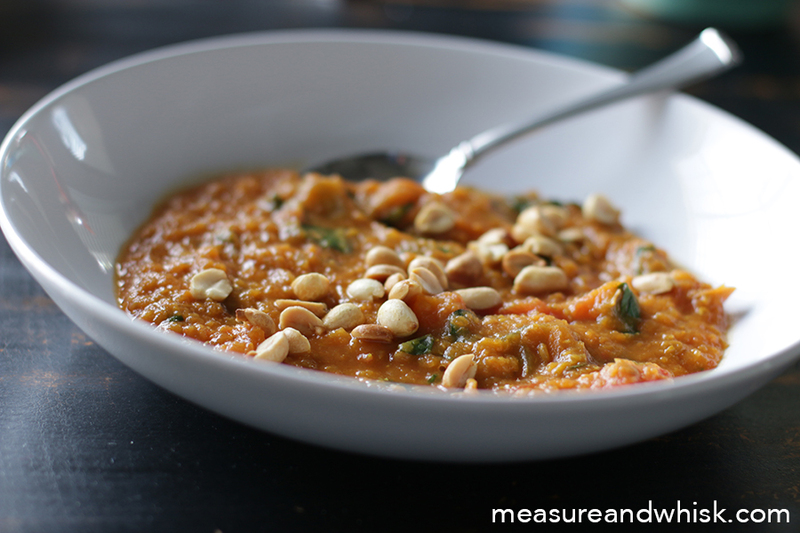 Sweet Potato and Peanut Stew - This was really good. Fox was willing to eat it as well, which is a win in my book! 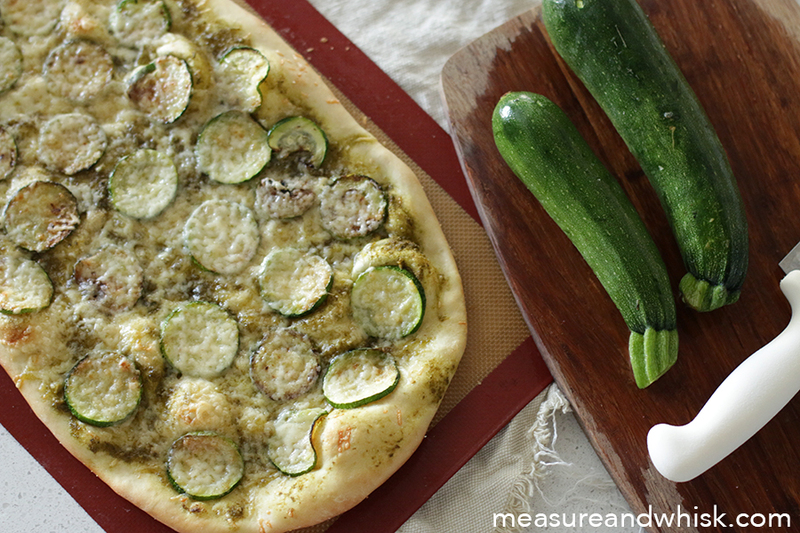 Zucchini Pesto Pizza - This was one of the most gorgeous pizzas that I have ever made, and was super easy (and delicious). I need to tweak the recipe slightly then it will get posted here. Roasted Vegetable Pasta - I contribute to a blog called Creative Green Living two times a month, and this was my recipes. Oh my goodness, it was delicious! The pesto and white sauce together are incredible. I am not sure when it goes up on Creative Green Living, but I will add the link as soon as the post goes live. Peanut Soba Stir Fry - The sauce on this dish is a little slice of heaven. It might be in my top ten sauces. This time, I made the dish with red pepper, snow peas, onion, carrot and quinoa. It turned out really well! Roasted Okra (this was a side dish) - Okra can be super slimy, but this method of roasting it makes it crispy and the seeds pop in your mouth. 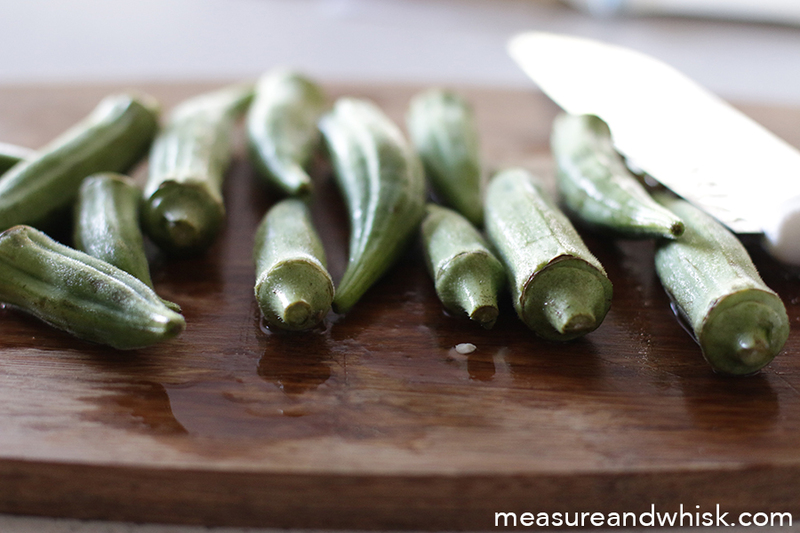 This is one of my favorite ways to eat okra. I used to make a pizza with pesto, zucchini, and tomatoes. This totally reminded me of it! I definitely need to see your version of the recipe tho. 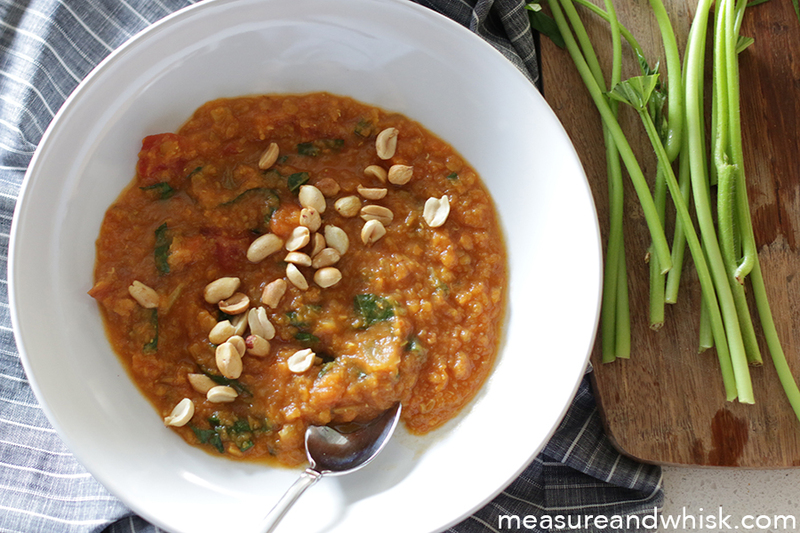 I'm always looking for a new vegetable curry recipe- looking forward to seeing what you come up with!